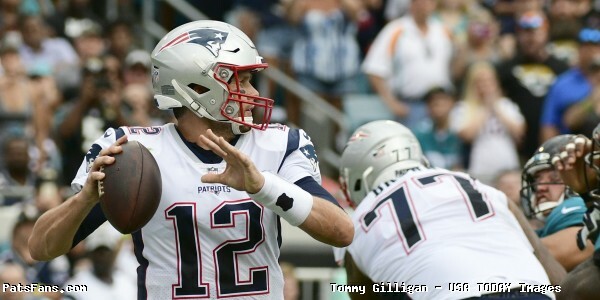 The Patriots were beaten badly for the second week in a row, and if possible, this one was more ugly than the last one. We’ve gotten used to these rotten apples in September before and the coaches always seem to get things figured out. But they face pretty much a must-win this week against 3-0 Miami. And there are lots of issues to fix right now on this team. With no running game, wide receivers who can’t get separation and the inability to stop the run, you have a recipe for losing football. And they were again dominated at the line of scrimmage. So, once again the players won’t be rushing up to garner their grade sheets after this one. Burn the game film of this one, this was particularly bad..
Brady badly forced a deep ball to Phillip Dorsett who was double covered and the pass was picked off. And with no one getting open in the short to intermediate game, he was forced to take deep shots down the field. The Patriots were obviously forcing the issue with Michel, and while he had just 50 yards on 14 carries, on many plays, there was absolutely nowhere to run, (wasn’t that a song by Martha and the Vandellas?). He also had a costly drop in the passing game. Michel will get it going, this is just his second game after missing almost a month of practice and all of the preseason. But the team is limited right now and hopefully, it will be sooner rather than later. Rex Burkhead was limited again and left with concussion issues…sigh. 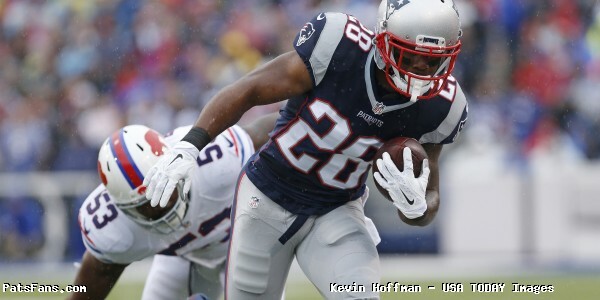 James White was once again the most dependable back on the field. White made a nice catch in the back of the end zone while the defender had tight coverage…which we’ve come to expect from him. The wide receivers are struggling big time and they’re not winning the one-on-one matchups. After a couple of decent performances, Dorsett didn’t register a catch even though Brady threw to him five times. Hogan had a couple of catches and Patterson had one along the sideline. But the issue is, they are all complimentary receivers and they’re good ones. But none are able to assume the mantle of a top WR in this offense. The Patriots get back Julian Edelman after the Miami game and have Josh Gordon waiting in the wings. Will it be enough? We shall see. Rob Gronkowski was blanketed by the Lions who were treating him and rightfully so as the primary target and they’d be right. He had a detail assigned to shadow him like the President. With Jacob Hollister getting injured this week, it took away another possible weapon for Brady to target. 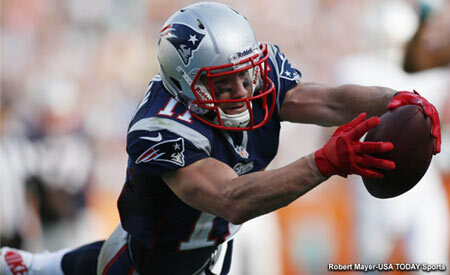 But what Gronk needs is others to step up. He can’t be the only game in the pattern. Dwayne Allen isn’t used in the passing game as a target and is strictly a blocker, at a time when they desperately need weapons. And he got blown up by Tavon Wilson (remember him?) on a third and short running play. That one stung. The offensive line did a good job in pass protection. The Lions sacks were mainly those of the coverage variety. One sack Brady held the ball for almost 5-6 seconds. However, the run game blocking was for the most part atrocious. If you look at the stats, 89 yards on 19 carries, it doesn’t look so bad, but that would be a mirage. The Pats have for years ran to the right behind Marcus Cannon and Shaq Mason. And those two were beaten consistently which is troubling. On third and 1, Mason was blown up by Ricky Jean-Francois (remember him too? ), and Michel was stuffed. On another, to the right side the Lions swooped in and blew up the play in the backfield. And this was from a team allowing an average of 179.5 yards per game. 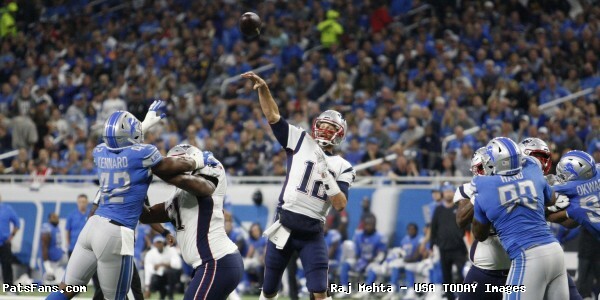 The defensive line was manhandled at the point of attack as the Lions obliterated the right side of the Patriots defense consistently with their running game, their other “supposed” weakness. Frank Ragnow had Malcom Brown on roller skates all night, consistently pushing him deep into the second level. On one play, Brown and Keionta Davis were driven so far to the left that they almost were out of screenshot. So, Kerryon Johnson became the first Lions running back in five years to rush for 100 yards. The pass rush for the second straight week was MIA. Matthew Stafford had all day to throw. 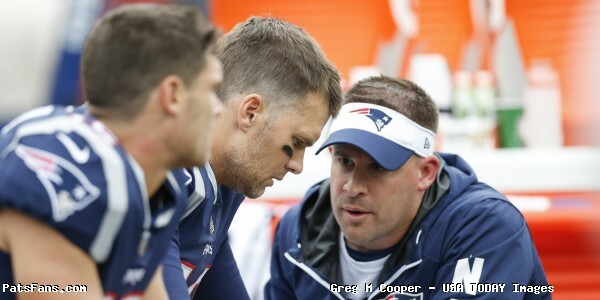 The team missed Trey Flowers but the others have to step up and show something. Deatrich Wise had a lone bright spot, beating Taylor Decker on a nice inside move to sack Stafford when the score was 13-10 and they actually had hope. 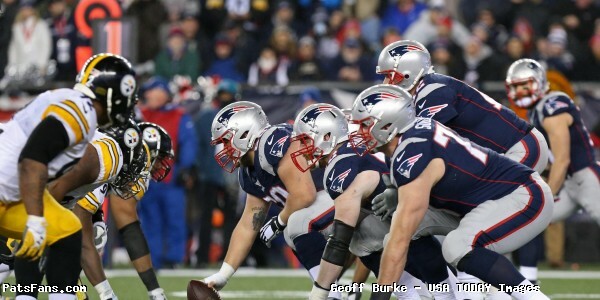 The Pats run defense is now second worst in the NFL allowing 143 yards per game….ugh. This was an absolutely awful game for the linebackers who appeared to be running in cement. They couldn’t cover the backs in the passing game and were late or ineffective at clogging the wide open holes in run support. 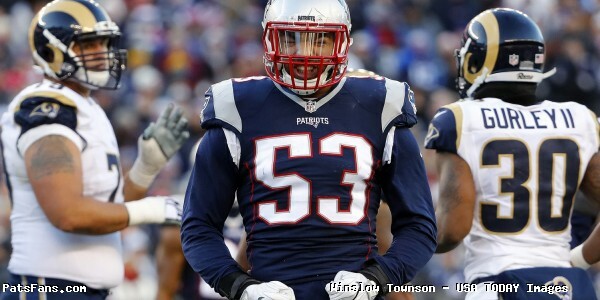 Perhaps the most troubling of the players is Dont’a Hightower. He looks really slow right now and he is far from his normally very physical self on the field. They tried to move him around as a pass rusher but he was ineffective there as well. It may soon become the time to question whether maybe his multitude of injuries are catching up with him. Ja’Whaun Bentley had the only splash play with a nice interception of Stafford when he had excellent position on tight end Luke Wilson. The secondary was missing two starters in Pat Chung and Eric Rowe and their defensive approach was obvious because of it. Chung was really missed in run support where he is a sure tackler and that was an area that the defense as a whole struggled with on Sunday. Stafford wasted no time exploiting rookie Keion Crossen on a third and long, matched up with Marvin Jones. Duron Harmon blew a coverage where he was supposed to take Jones from Stephon Gilmore and stayed put allowing a long touchdown pass. Watching the game tape again, there was no Lions receiver on that side even in the zip code. These simple communication mistakes are correctable but that one stung. Cordarrelle Patterson got a nice 42-yard return to start the game when it looked like they may actually start fast. But the coverage units were a bit leaky again and were fortunate to have a 32-yard punt return called back for a penalty. Where in the world were the defensive adjustments? Bueller? Bueller? They didn’t seem to try much. After being gashed by the run for three quarters they switched up to a 3-4 look for a short time, but by keeping the two safeties back to protect against the deep passing, the Lions ran right at their front seven and dominated totally. 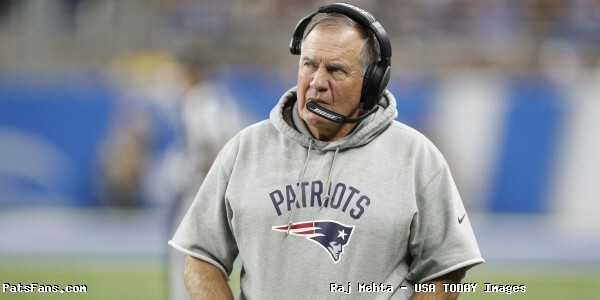 The team played with no urgency, no fire and that is on Bill Belichick. The offensive game plan had some serious question marks and the play calling was very suspect in this one. 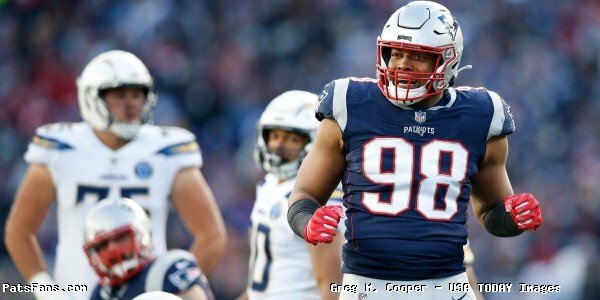 This entry was posted in 2018 Patriots Regular Season, NFL Commentary, NFL News, Patriots Commentary, Patriots Film Room, Patriots News and tagged 2018 Patriots season, Bill Belichick, Chris Hogan, Cordarrelle Patterson, Detroit Lions, Dont'a Hightower, Duron Harmon, James White, Kenny Golladay, Kerryon Johnson, Marvin Jones, Matthew Stafford, Miami Dolphins, New England Patriots, Patriots, Patriots edge rushers, Phillip Dorsett, Rob Gronkowski, Stephon Gilmore, Tom Brady, Trey Flowers on September 25, 2018 by Steve Balestrieri.